During an interview, you need to put your best foot forward in order to make a memorable and favorable impression. However, far too many individuals have left lasting imprints that could hardly be considered positive. Below are some common interview mistakes that even the most intelligent people make and how you can adeptly avoid them. Think you'll just "wing it" at your next interview? Chances are, you'll walk out embarrassed and without a job offer in sight. If you really want the position, you need to do some homework. Find out all you can about both the company and your interviewer(s) before your scheduled meeting. 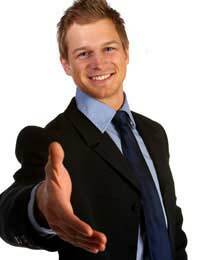 The Internet is a fast resource for this task and you can also call friends or family who might have some inkling or insider hints about the organisation.Additionally, scour your résumé or curriculum vitae (CV) and, in essence, get to know yourself (it's easy to forget achievements when you're put on the spot). Practice interviewing with a trusted loved one and plan your responses for tough questions like "Why do you want to work here?" and "Where do you see yourself five years from now?" Despise your current boss? Loathe the company that assigns you a paycheque? Keep mum about it during your interview lest you seem like a loose cannon. Even if you can't stand your supervisor or department, find something truthful and tactful to say in answer to the question, "Why do you want to leave XYZ Enterprises?" For instance, you can say, "Well, I feel that my company and I are headed in different directions." That's an honest way to show your displeasure without calling XYZ Enterprises a nasty name. Another reply that works well is, "I felt it was time to move on to an organization with more growth potential." Again, it's not a fib and you've actually just flattered your interviewer by implying that his or her business is successful. Many people have a habit of chewing gum before face-to-face meetings either to freshen their breaths or calm their nerves. Though there's nothing innately wrong with this, never allow yourself to take your chewing gum into the building! Instead, dispose of it well before you ever walk through the door of what could be your next employer. Think of it this way - during your interview, what kind of impression do you suppose you'll make when either your gum starts smacking or your cheek bulges as you try to hide the sticky stuff in your mouth? Plus, it's rather gauche to spit it out in front of an interviewer. Are you someone who has trouble sitting still? Then you need to discipline yourself to remain calmly in a seat for at least an hour. There's nothing quite as annoying to an interviewer as an interviewee who simply cannot stop kicking his or her leg or whose eyes dart from ceiling to floor. Unless your fidgeting is a result of a medical condition, you have to learn how to steel yourself against the desire to move around. Some people have even placed pebbles in their shoes as a physical reminder; thus, when the urge to squirm approaches, they can firmly press their toes onto a solid stone instead of allowing their limbs to twitch. Many interviewers will try to trap you into talking about salary requirements; however, if they haven't offered you the job yet, it's imperative that you not discuss any actual figures. If you do, you'll lose ground on future negotiations. Should the person with whom you're discussing potential employment bring up the subject of your salary, there are a few diplomatic ways to handle your answer. For example, you can always reply, "I'm sure that if we decide to work together, we can come to an acceptable figure. But I prefer not to talk about numbers right now." Some have even had success turning the tables on the interviewer and asking, "Are you offering me the position?" Though the latter is extremely bold, it does get the point across that salary is not something you'll talk about in an initial face-to-face and without a contract on the table. If you plan ahead and keep your wits about you, your next interview is sure to be a positive experience for everyone involved.